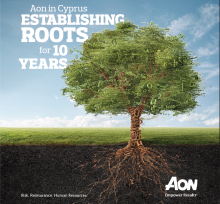 Nicosia – In celebration of its 10 year anniversary in Cyprus Aon Hewitt held a client reception on 1 February. The highly successful event was attended by over 200 clients and industry leaders. “Celebrating a 10 year anniversary milestone is a big achievement in itself. It is a celebration for those that have been part of this effort through the years. Any company's business growth and productivity depends on its employees. I would therefore firstly like to congratulate and thank the Aon Hewitt team in Cyprus for their hard work, devotion and engagement. More importantly, I would like to warmly thank all of our clients for their trust and engagement all these years. As our clients grow their businesses it is imperative that they are supported by the right level of expertise and we are committed to continue to provide the local market with high quality value-added services and introduce new solutions to meet our clients' requirements as these evolve over time". “We are proud to have served clients in Cyprus for over 30 years. We worked with clients in Cyprus from the UK in the 1980s (one of our Partners was Cypriot), then from Greece as we built our regional business, and now directly in Cyprus for the last 10 years. Running a smaller office even with the support of a global organisation requires dedication, innovation and passion, and our excellent team in Cyprus definitely has these qualities. We deliver a full range of services from retirement consulting, to investment, to benefits administration and support our clients with the delivery of any aspect of their employee benefits in Cyprus and beyond. 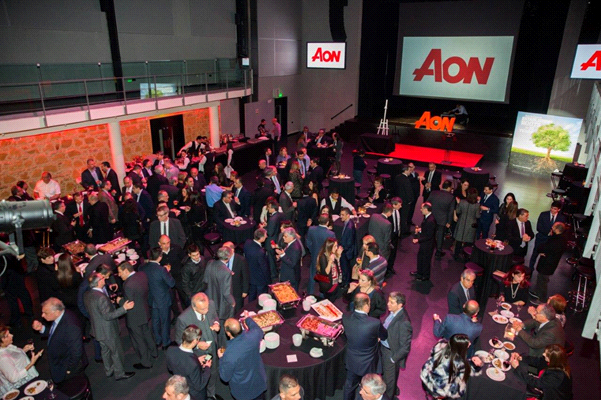 The team is well connected to AON regionally and globally. This enables them to bring innovative ideas to Cyprus such as the MAP Fund which already has 700 members. The MAP fund is an AON Retirement Mastertrust providing access to AON's global investment capability where AON takes responsibility for the delivery of retirement benefits for your employees. This is a special time for Cyprus with significant change expected soon from the potential reunification which will unlock even more potential for Cyprus. We look forward to serving our clients and bring greater certainty in an uncertain world, whatever the future may bring"